Hello! My how quickly that first month of 2018 flew past! And the first of the month means another challenge over at Craftyhazelnuts patterned paper challenge blogfor me to make my design team contribution to. 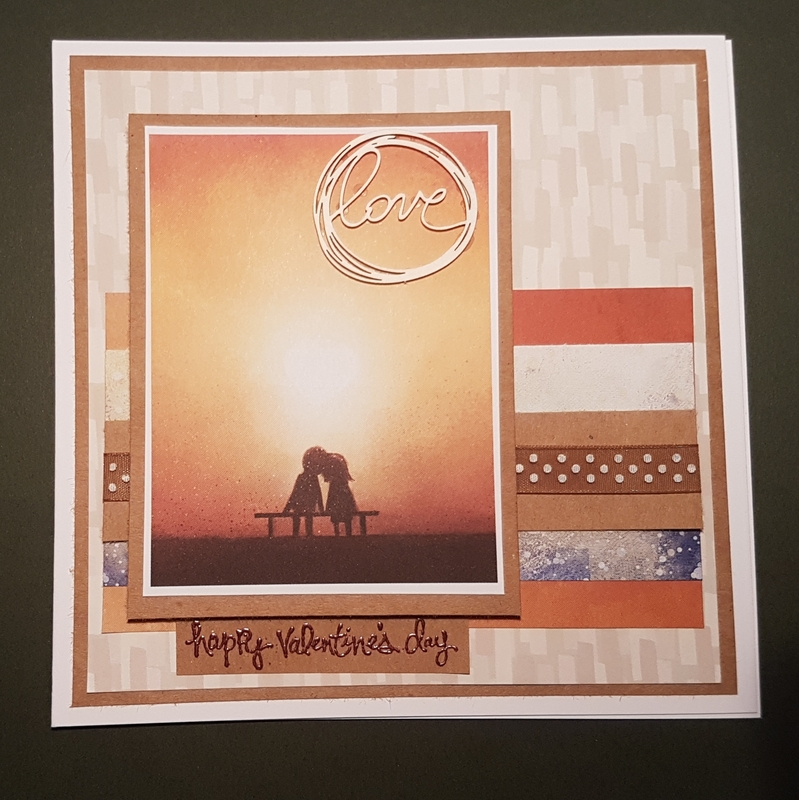 Just like last month I decided to use magazine freebie papers and images to do this and came up with two Valentine’s cards. 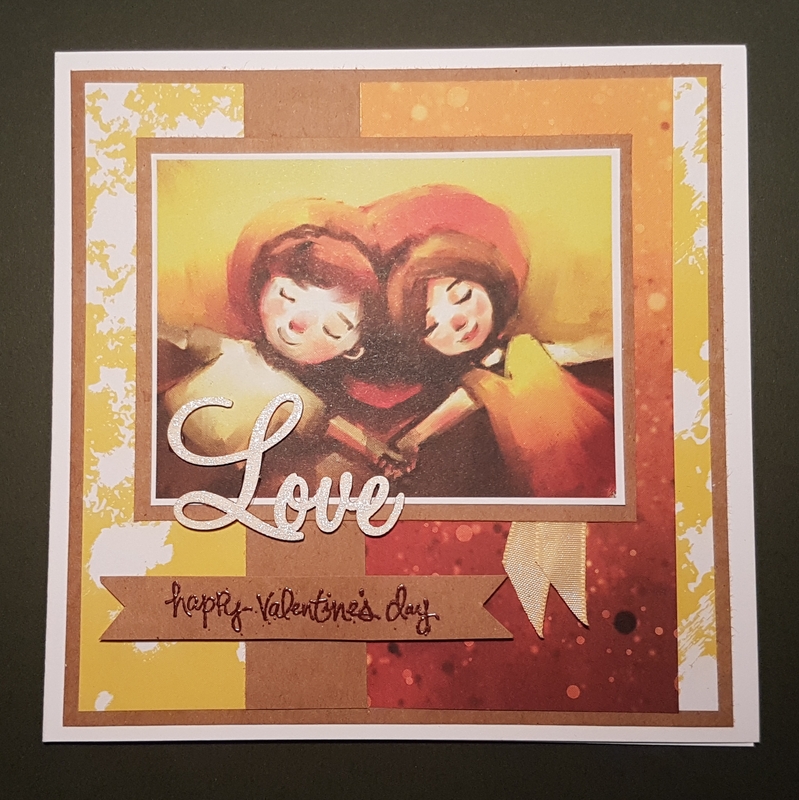 I added Scrapinec laser cut embellishments from an Artful Days Goodie Box, some ribbon to add texture and the stamped and embossed sentiment from an old Stampin Up set, Good Greetings. Love these images and papers. So cute! So now it’s time to go over to the blog and check out what my fellow design team have been up to with their patterned paper stash! Two beautiful cards Catherine. I too love the colour combo’s you have chosen.